Welcome to upscale urban living the way you always wanted it to be. 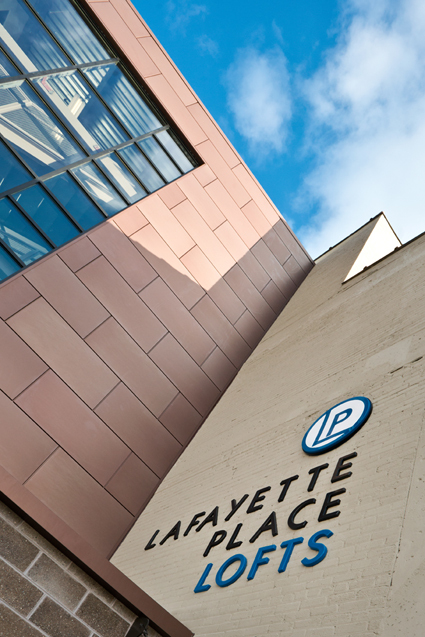 At Lafayette Place Lofts, you’ll find all of the amenities you need to live comfortably right at your doorstep: fresh foods market, fitness center, banking and entertainment. You have it all at here. Combining the laid-back lifestyle and spirited variety of a diverse and energetic downtown, Lafayette Place Lofts will be the signature residence for great atmosphere and comfortable living in Pontiac. LEED Certified and located in the newly renovated 80,000 square-foot historic Sears Department Store building, each one and two bedroom residence will offer a unique living space where history and original character combine with contemporary features fit for today’s lifestyles.